While most of just read PDFs, there’s no shortage of free online tools for tackling PDF-related tasks, from splitting to merging to conversions. 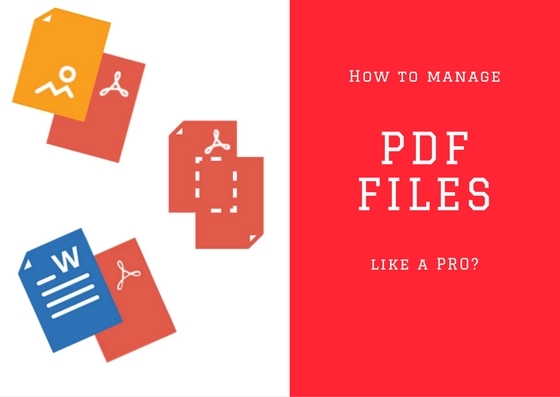 Find out how to get the most out of your files with these tips on mastering PDFs. Mac users can do some basic edits with the Preview app, Apple’s PDF program. This is the default reader that appears when you open a PDF file. You can use it to complete and sign PDF forms, make annotations, add images, and layer shapes. Need just one or two pages of a large document? There are several utilities for splitting PDFs. One of the fastest is ZonePDF, which processes files up to 200 pages in a fraction of a second. Afterwards, you can email the relevant pages to colleagues, and spare your boss from combing through a massive online file. ZonePDF allows you to work with a handful of documents without registering, but you’ll need to sign up (for free) to get the most out of the site. Once you’ve freed the components of a PDF, you can combine with them other files and repackage them as a new document. For example, you can merge PDF pages with spreadsheets, screenshots, a PowerPoint, and a Word file. PDF merge tools create a single, comprehensive document that has everything you need, and nothing you don’t. While there are several apps and sites that allow you to annotate PDF files, few are as powerful as the Skim app for Mac. Skim is easy to use and does what you expect it to, with the bonus of export capability. The app saves your notes as a separate file, as well as the original passages they relate to. You can choose to export to a variety of formats. Saving your notes to a text file gives you the option of editing them further. This allows you to effectively copy text from a PDF indirectly, which can give you a cleaner result. Every once in a while, you’ll still cross paths with a PDF form you can’t type into. This is less than ideal when you want your form to look professional. Fortunately, you can head to PDFescape to fill out PDF forms. Simply upload the file to PDFescape’s website, then use the editing tools to superimpose text boxes, check marks, and radio buttons over the form fields. The end result will be tidy, legible, and secure. Want to create an image from a PDF? A screen capture tool won’t cut it. ZonePDF, which we mentioned before, also has a PDF to JPG converter. Simply drag-and-drop the PDF onto the screen, then download your new image file. If the quality of the original document was less than stellar, you can then edit contrast, brightness, and other characteristics to enhance its legibility. Sure, you can save a document as a PDF directly from Word, but what if you need to convert several of them? You can convert Word to PDF in batches with ZonePDF. Just drag your documents onto the converter, or connect to your Google Drive or Dropbox account. ZonePDF is super-fast and preserves the formatting of the original documents. Large PDFs can take ages to load – so long that programmers created PDF SpeedUp, a free download for Windows. The software gives Adobe Reader a turbo-boost by disabling unnecessary plugins on startup. Important plugins remain active, and you can always change the defaults to specify the ones you want to load. It’s always a good idea for Web designers, writers, and creative types to save their online work in a permanent format, just in case those links go dead down the road. It’s very easy to save a Web page in Google Chrome. Just go to File | Print, then change the printer to “Save as PDF.” Because Chrome saves the print view, the resulting file will have a minimalist look. Most PDF apps and tools are free and secure, and many have overlapping features. Spend a little time trying out different ones, and add those you prefer to your “virtual toolbox.” Follow their social media sites to learn tips and tricks, and you’ll be well on your way to becoming a PDF pro. Anka Zielinska is a business consultant and online marketing expert. She loves all about technologies. In her spare time she is a dedicated triathlete.